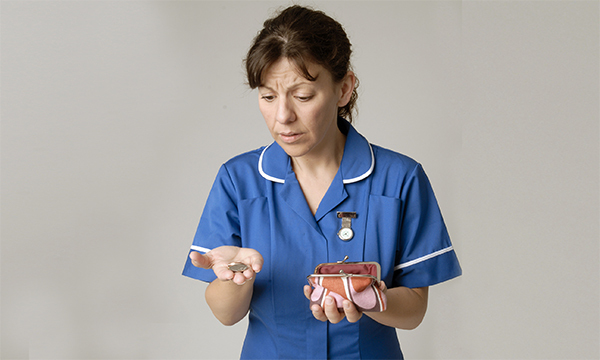 For the past 18 months agency nurses have seen their wages under threat, with trusts ordered to adhere to a 'cap' on payments. A new change to their tax status is set to hit pockets once again. Many agency nurses bill for their services through a limited or personal services company. In the past, this has reduced the tax they need to pay, allowing some profits to be taken as dividends. It has also allowed them to offset costs, such as travel, against their profits. But from April, all NHS employers must make agency staff subject to Pay As You Earn (PAYE) tax, effectively taxing them on the same basis as employees and removing many of the advantages of being self-employed. The government has decided to enforce IR35 or 'intermediaries legislation', a mechanism for determining what the relationship is between a public sector employer and an individual providing services to it. Placing agency and permanent staff on the same tax footing will make it 'fairer and more attractive for people to become permanent NHS staff, which is great news for hospitals and patients', according to NHS Improvement chief executive Jim Mackey. Many agency staff argue that since they do not enjoy the security or benefits of permanent staff, this should be reflected in their pay and tax arrangements. They face risks, such as shifts being cancelled at short notice without pay, and their skills and experience are often not rewarded in the pay rates on offer. Agency nurse Darrell Meekcom travels across the Midlands and beyond to work long shifts in hospitals, incurring petrol and parking costs, often amounting to more than £40 a day. Until now he has been able to count these as business expenses, reducing the amount of tax he has to pay, but from April this avenue will be closed. He will also fall under PAYE. And he doubts that many agency nurses will respond to the change in their status by opting to work full time for the NHS. On an agency nurses' forum, many nurses said they were considering other options, such as leaving the profession, working in the private sector or leaving the country. The changes may mean fewer nurses available to the NHS, rather than more seeking permanent jobs.